Look what we have found! A renovated villa - yes, with garaging! 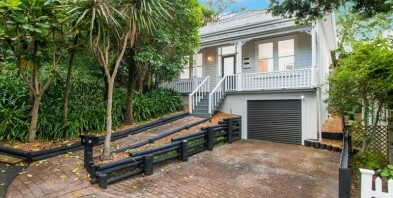 - in the popular historic Grey Lynn precinct of Arch Hill. Located parkside, at the end of a cul-de-sac, this pretty home will give you all you need for today's living in a location that puts you close to everything. Kingsland is only up the road, while Grey Lynn and Ponsonby is right there as well. You can make the most of the city by biking, bussing, walking or driving the short distance that gets you to the heart of the happening zone. Renovated over time by the current owner, the living now blends indoor and outdoor options, with the kitchen as the hub. North-facing decking is extensive and set for next summer. If you are looking for a 'move in and just live life' option, this would be hard to beat. Our out-of-town owner is committed to selling so don't delay. Viewing by appointment, or come along to the open homes.